OG Kush Auto is an automatic cannabis seed of prestigious origins: an OG Kush and a Ruderalis. This mesmerizing small marijuana plant does well both indoors and outdoors provided the climate of the area is not very humid and yields compact buds coated in a fragrant resin. Be ready to fall into its clutches. 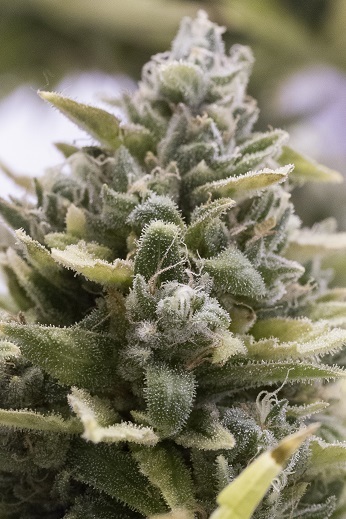 This autoflowering cannabis hybrid has an aroma with dominant hints of oil and citrus fruits and a flavor with notes of tropical fruit, lemon, cleaner, Diesel, and spices. The effect is typically Indica, inviting you to rest deeply and for a long time. Its tropical notes will pervade the room wherever it goes. Massive plant. Big yield. Absolute rocket fuel high. Really positive high, great for smoking in a group. would recommend to people new to smoking as it's a very relaxing atmosphere. would smoke again! Hometown Favorite here. smooth, Great flavor. you can really smell the lemon in this beauty. and is flavored with that hint of pepper lots of resins visible on this plant.a great mellow ride. awesome for use in tincture. ( hehe They all are ) easy peasy growing . no troubles .Love the auto's.